Hey everybody, and welcome to another edition of Mastication Monologues! Many great events have been happening as of late including my blog now being featured on the acclaimed food blogging website TheBesty. You can find the article here, and they will be featuring some of my restaurants in a few upcoming YouTube videos. So stay tuned! 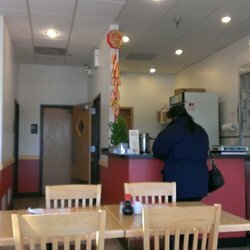 Self promotion aside, today I’d like to tell you all about Oriental Taste, a simple but yummy eatery located at 106 63rd St, Willowbrook, IL 60527 that has quickly become my family’s go-to Chinese restaurant when we crave some Asian cuisine. While this place may not be as famous as some of the other Chinese establishments I’ve visited both in the States and abroad in China and Taiwan, it still manages to do serve some quality Cantonese-inspired American Chinese food at a great price. It’s quite simply furnished both inside and outside, but this is a case of not judging a book by its cover as their menu will both intrigue and excite you. They have everything from classic egg rolls and potstickers to many different varieties of fried rice and noodles dishes. If you’re feeling adventurous, they also have Cantonese specialties that are closer to some of the dishes I saw while vacationing in Hong Kong. In all the years my family has been going there, it seems like we’re always the only non-Asian people who actually sit down in the restaurant to eat, but overall, it seems their carry-out business is the real money maker. We’ve never tried their carry-out services, so I can’t offer my own opinion on the overall efficiency of this part of the business. Anyway, for this dinner, I decided to get a plate of bbq pork chow mein, and my mom ordered the ever-popular kung pao chicken. After a good while of looking at the various duck carcasses and pieces of meat in the display case next to the register, our entrees came out with a side of white rice and a full pot of tea. I focused mainly on my wonderfully arranged plate that was overflowing with noodles. 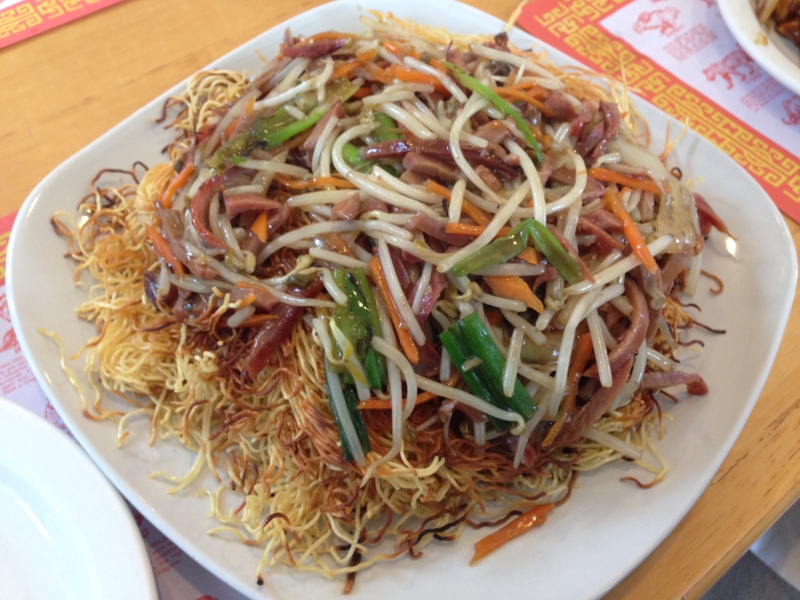 I took three forkfuls of the noodle nest along with the morsels nestled in its golden tangles. Each mouthful was a who’s who of textures and flavors as the noodles were prepared in the crispy, Hong Kong style, and the barbecued pork strips were succulent but not greasy, thankfully. I’m also partial to bean sprouts, so this dish was perfect for me. These translucent, crispy tubes were paired perfectly with the crunchy green onions that popped up every so often to pep up the meal. 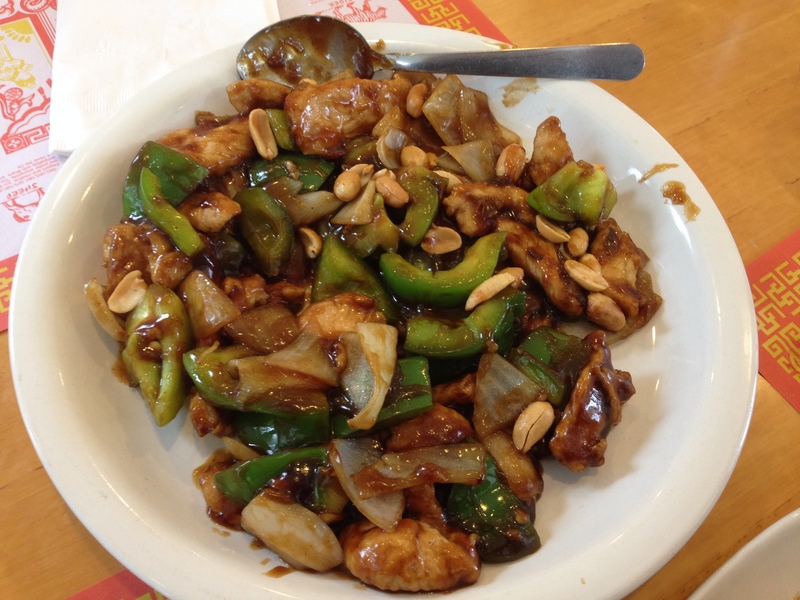 The kung pao chicken was quite scrumptious as the juicy pieces of chicken were pure white meat, and the soy based sauce covering every inch of the plate provided a spicy zing to each mouthful. I liked the peanuts that were added to supply a crunchtacular counterpoint to the chewier chicken and firm onion and pepper elements of the meal. 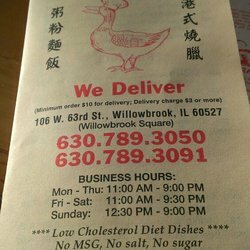 So if you’re looking for quality American Chinese fare without the bells and whistles of other chains or upscale restaurants, check out Oriental Taste in Willowbrook, IL. It’s a hidden gem that won’t be under wraps for long. 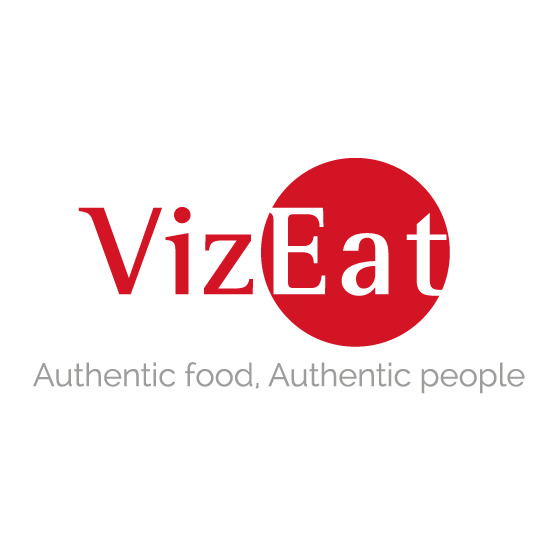 Posted in Cantonese, Chinese, Far East Asian Cuisine, Sichuan and tagged American, barbecue, bean sprouts, chicken, Chinese, kung pao, noodles, peanuts, pork, rice, soy sauce, tea. Bookmark the permalink.